Have you ever been to Mall of America in Minnesota? It's the largest shopping mall in the US. According to their website, they have 520 stores! Average malls have about 100 stores. That means the Mall of America has five times as many stores. Does this remind you of anywhere else? Maybe somewhere in Cyber Space? According to data from 2018, there are 564 million items for sale on Amazon's US marketplace. Suddenly Mall of America doesn't seem so massive! Now don't let that number send you into a panic. Because trust me there are more than enough buyers out there shopping on Amazon.com. But there's no escaping the truth: if you want your new Amazon product page to ever see a single sale, it's going to have to stand out from its 564,000,000 competitors! In fact, this is one of the reasons I like the Retail Arbitrage method. I can just hop on the listing for already established products and brands like Oreo Cookies or Paw Patrol toys and accessories. Bringing these types of products to market on Amazon can be very profitable. Can you imagine being on a listing as the only seller?! 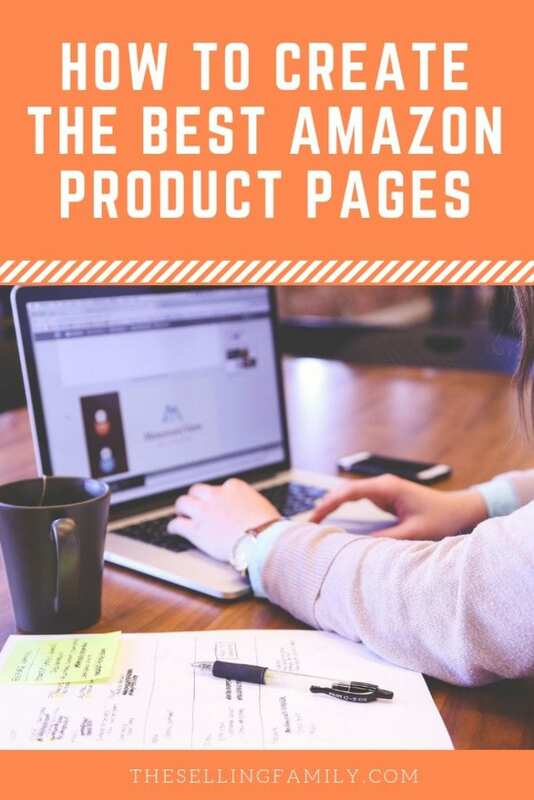 The key is you have to create Amazon product pages the right way. There is nothing worse than creating a product page on Amazon and then having it just sit there. Talk about wasted time, wasted energy, and even wasted money on the product that is just sitting around not selling. 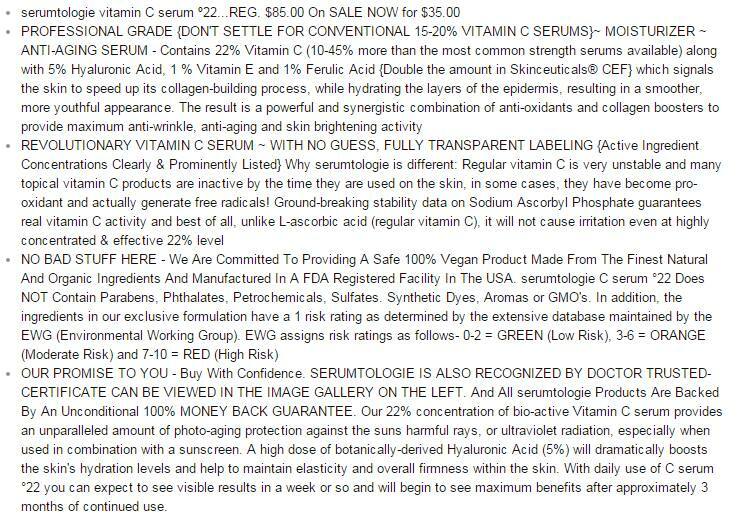 I've seen (and I'm sure you have too) product pages on Amazon that have keyword spammed titles, bullet points that are paragraphs long (they're called bullet POINTS, not bullet BLOBS), no product descriptions, and images that leave me simply confused as to what I will receive when I place the order. Our main goal here at The Selling Family is to make sure that you are able to succeed with whatever you're selling on Amazon. We don't want you to be one of those bad product page examples! Creating your first (or next) product page doesn't have to be scary! Stick around and I'll show you how to create Amazon product pages that sell! Before I get into the nitty-gritty, I want to give you an overview of what makes for an awesome Amazon product page. Let's think again about those 500 stores at Mall of America. Imagine that you've finally picked a store to browse. And now you're trying to decide which of its many products to buy. For clothing, I bet you'd try it on or at least touch it. If it were a household item, you might pick it up and read the details on the box to learn about the features of the Robo Vac 9000. If you were in a fabulous gourmet store, you might open up that $20 tin of peppermints to give them a smell….or maybe you'd flip the tin over to read the ingredients. Well, when you're shopping online, you can't do any of those things. An item's product page on Amazon has to pull all the weight for selling an item. In other words, your product page is your one shot at convincing a buyer that your product is THE product to buy. By the time an Amazon customer has read your product page, they should understand the benefits of buying/using your product and have an accurate sense of what will actually arrive at their doorstep in 2 days. And that's about it! So all of these components need to work together to create a positive buying experience for the customer. Oh, and if you want customers to ever find your products on Amazon, you'll need to add some search keywords as well (more on that later). As you can probably tell, product pages rely heavily on your words. Other than the product photo, everything else on the page is text. Luckily, I picked the brain of professional Amazon copywriter Karon Thackston before writing this guide. One last thing before we get started: it's a good idea to review Amazon's Product Detail Page Rules. This page contains the rules for Writing Listings and Adding Detail Pages. There's no reason to risk having your product page deleted because you unknowingly broke an Amazon rule! What is the first thing that you read on a product page? The title! This is the part of a page where someone makes the decision if they even want to continue on and see what this item has to offer. The title should give the buyer enough information to make a sound choice on purchasing your product. All the main details should be included: Brand, Model, Size, Quantity, Colors, Patterns, etc. There is a growing trend that says product titles should be enormously long. I disagree. Not only are 500-character titles against Amazon's terms of service, but they are also difficult to read. As someone who buys a bunch-o-stuff on Amazon weekly, I can tell you that when I see a huge title (that is more like a paragraph), I skip it. All the capital letters and pipes and stars and commas… yuck! They all make the title difficult to understand so I just don't read that part. Instead of just being long, titles should be clear and enticing. This doesn’t take more characters… it takes talent and skill to think like your customers. Sometimes attracting customers can be done simply with a couple of words. With all these rules in place, how can your Title stand out? In addition to the things Amazon suggests you include (a brand name, a model number, color, etc.) choose a few handpicked adjectives to differentiate your product such as premium, elegant, 100% natural, etc. You'll want to highlight something about your product that your competition does not. I chose to draw attention to the “Light Up Lunch Box” right in the title because I think that's a pretty unique feature of the bundle that I created. I also followed the rules by stating the number of products in my bundle and following the capitalization guidelines. The bullet points (which Amazon calls “Key Features”) are the second place on a listing that someone is going to read. They should know right away after reading the bullets if the product you are offering has what they are looking for or not. Your bullet points should highlight the major features and benefits of your item. We want to answer their questions before they even think of them. Your bullet points can really convey a lot of information to your buyer. But that doesn't mean you have to turn them into paragraphs! Like the Title, more is not always better with bullets. Seriously, if I tried to read that whole thing I would get a headache. Do your buyers a favor and respect their time. Don't force them to read tons of copy that isn't necessary to make the sale. Shoppers and readers are busy. Bullets are your chance to give them skimmable information that tells them exactly what they need to know. Almost everybody skims when they read. Heck, it's why I include bulleted lists in my blog posts! I want you to be able to find the info you need quickly. Sure, this covers all the basics, but it's just the features. This shorter version is missing the benefits (and it would probably miss out on a lot of sales, too!). So you have gotten the buyer this far. Now, it's time to close the deal. Use this section to write about how the buyer will feel or what they will experience when they purchase your product. If you have any last details that you need to share or important facts about the product, this is where they should go. It's also your last chance to stand out from the crowd. Think about a walk down the toothpaste aisle at a drugstore. What do you see? Dozens of different products that each have specific purposes. One is for kids and tastes like bubble gum. One is for people with sensitive teeth. Another is for those who want whiter teeth. Some offer a combination: sensitive, whitening with tartar control, etc. It's easy to find which toothpaste you want because each one caters to specific needs. This is what your product descriptions and listings should do. If you're bundling, ask yourself what the benefit of the bundle is. Why did you decide to put that particular bundle together? What is the advantage for the customer if they buy your bundle instead of the individual items? Need an example? Here's the Product Description from the same set of 4 tumblers I showed you earlier. Notice how it calls attention to features, benefits, and feelings. After reading this, I can just picture how great it will be to have these drip-proof glasses around on fun summer trips with my family. I also know that my son will be safe because these tumblers won't break like glass. You need professional quality product images, both to satisfy Amazon's requirements and to attract buyers. 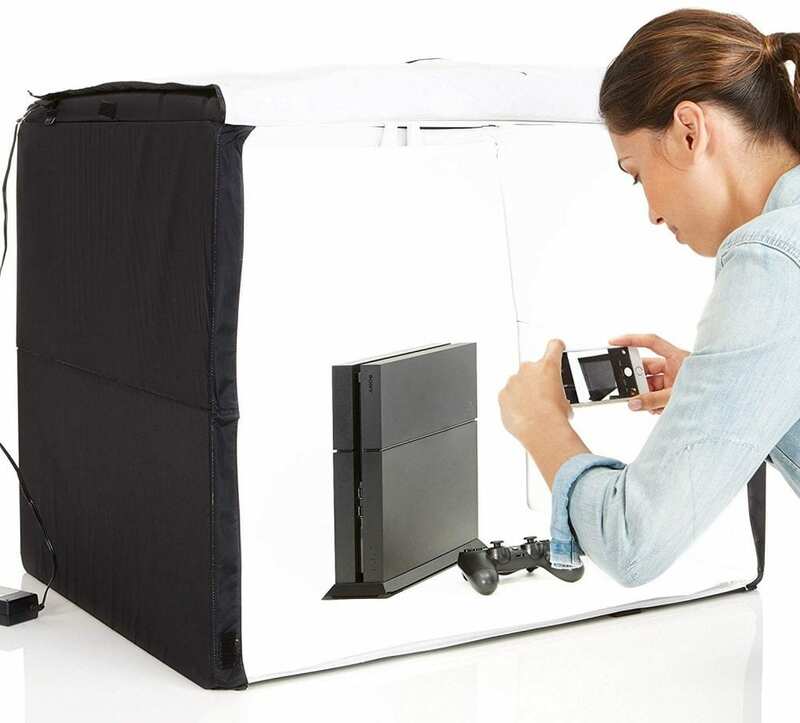 Luckily, there are still ways to DIY your product photos while getting high-quality images. Now maybe you're lucky enough to have a DSLR camera, professional lights, and a backdrop in your home. If so, go ahead and start taking photos! The Amazon Seller App now includes a “Product Photo Studio”. You can access this from the Menu of the app on your iPhone or Android device. When you take a photo with the Amazon Seller App, it helps you crop your image properly and even checks to make sure you're following all the rules. The hardest thing to get right is probably “Clean white background.” But Amazon recommends buying their AmazonBasics Portable Photo Studio to help with lighting and clean backgrounds. If you use the App and the Portable Studio, you're well on your way to having above-average product photos. Of course, if you need the absolute best quality (or have a need for lifestyle or in-use photos for secondary images), then you might want to hire this one out. There are plenty of product photographers available to hire on sites like FreeUp. Keywords and Search Terms are a very misunderstood aspect of creating product listings on Amazon. This is why we end up with spammy titles and products showing up in irrelevant searches. Sellers are just dumping every keyword they can think of in the search terms, whether they fit or not. Plus they think that if the title has a bunch of keywords in it, they will show up first in results. This is not the case! 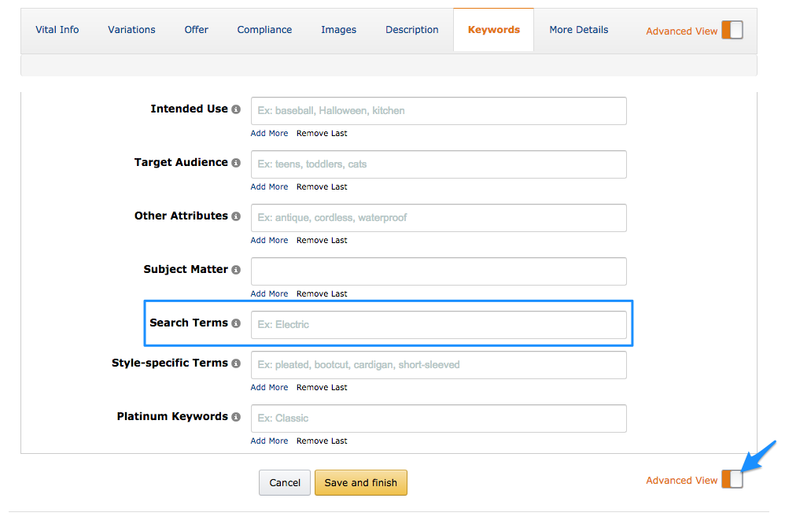 While creating your listing, you need to add all of your other keywords to the section called “search terms”. Unlike the other sections of the product page, this is only visible in the backend of Seller Central. Your customers don't see this information on the product page. This is where you add the other keywords that didn't fit neatly into your title. Here is an important tip, you do NOT need to repeat any of your title keywords in the listing search terms. You will notice that I do not need commas between the terms and that I do not repeat any of the terms from the title. So, read alone the terms make no sense! But they will cover things like: Ninja Turtles Backpack For Kids or TMNT lunch tote or Turtles zippered pencil case. Here's where that info all goes in Seller Central. You just go to the Keywords tab of the Edit Product Info page. Be sure to toggle on “Advanced View” if you're not seeing all the sections. For my back to school bundle, I already knew which keywords I wanted to use. I just had to add them to the title and Search Terms in Seller Central. But sometimes, especially in Private Label, you have to do keyword research to find the right keywords to add to your listing. There are probably one or two keywords that will come to mind right away for your product. That's a good place to start your keyword research. You can take those early ideas and run them through various keyword research tools. 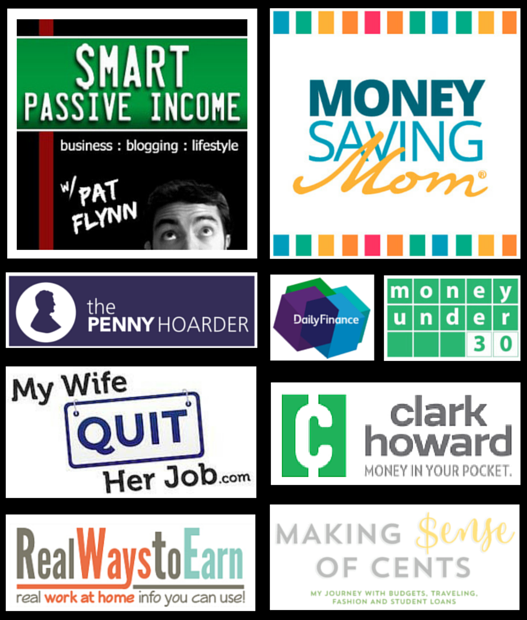 There are plenty of paid services that do that and some free options as well. When you start typing into Amazon's search bar, they automatically generate suggestions. It's the same way that typing into Google works. For much more in-depth keyword research and product research tools, I recommend a paid service like Helium10. With Helium10, you can use their Magnet, Cerebro, Frankenstein, Scribbles, and Keyword Tracker Tools to do a deep dive on keyword strategy. You can always get started with their free plan. If you find yourself doing frequent keyword research and need one of their paid plans, you can get 50% off your first month with Helium10 coupon code THESELLINGFAMILY50. 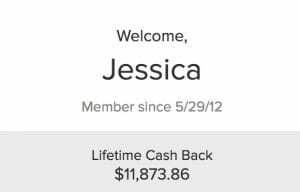 Sign up here to create your free account or claim your discount. One final tip is to do a search for your own product. If you can't find your listing, no one else can either! Sometimes it takes a few minutes to update the listing to the catalog, but make sure to do it while you are still in the listing mindset. If you type in a phrase and your listing doesn't come back up, make sure to go back into the keyword section of your listing and add whatever search terms you used that you didn't already have down. I hope this has helped you make sense of the many moving parts of a profitable product page on Amazon. 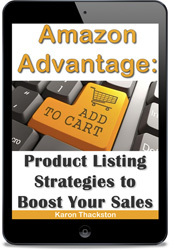 While I generally tell new Amazon sellers to hold off on creating new listings, you will reach a point in your selling career where it is both necessary and profitable to follow these steps. If you have any other tips that you would like to share please feel free to do so below in the comments. We would love to hear them!